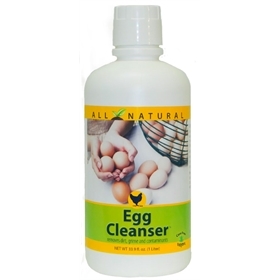 This egg cleanser is all-natural, so you don't have to worry about putting chemicals on your eggs! Egg Cleanser Concentrate from Carefree Enzymes is eggstremely effective, and designed for everyday egg washing. The unique blend of naturally-occurring enzymes attack organic stains and protein residue for effective removal of contaminants. 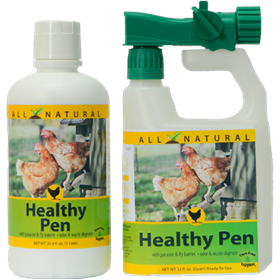 You'll love your clean eggs, and so will your customers. Ingredients: Natural enzymes from plants, trace minerals, and water enhancing agents. Store in a cool dry place, 40-80 degrees. Do not freeze.